Help! My First Semester Law School Grades are Really Bad. You are here: Home / 1L / Help! My First Semester Law School Grades are Really Bad. Okay, you’re getting your first semester law school grades back and they’re — shall we say — not exactly what you’d hoped for. What now? Finally, change your approach. After a dispiriting set of grades, lots of people resolve to “work harder.” I’d argue you need to work more strategically, not harder. Doing more of the same thing you already tried is unlikely to result in better grades next time around. It’s time to change your approach. Instead of focusing on class preparation, focus — from the first day of class — on how you’ll apply what you’re learning on the final exam. Don’t just read the assigned cases and passively take notes. For every single case, ask yourself “Why was this assigned? What principle of law was it selected to illustrate? How does it fit into the bigger picture?” To learn to think like a lawyer (which is what you’re really being tested on), you have to spend a lot of time thinking about the law! It’s this thinking piece that tends to get lost, in between the daily grind of reading for class and the sheer terror and chaos of preparing for exams. Think early, think often, and you’ll be better situated when it comes time to cram for exams. 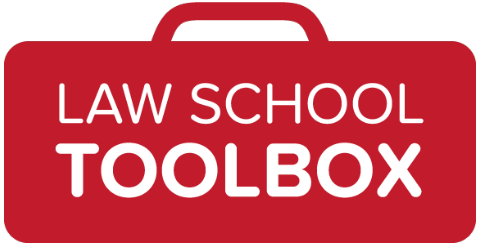 For more details, check out my new website: Law School Toolbox. How Can You Improve Your Situation, Right Now? If you stay calm, analyze the situation, and make the necessary course corrections, your second semester grades are likely to be better. But what if they’re not? Or what if your first semester grades are so truly terrible that they’ll be remarked upon for the rest of your career, even if you see massive improvement? What can you do right now to improve things, irrespective of your grades? Glad you asked. 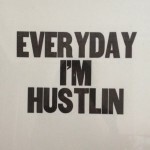 Welcome to the hustle. How can you position yourself to meet someone who might eventually be able to help you? It’s cliché to say that most people get jobs through personal connections, but it’s also true. You need to start making these connections, in a non-annoying and obnoxious way, today. Right now. Immediately. Without further ado. Get involved in your local bar association. It doesn’t matter how large a place you live in, the local legal community is going to be insular. One of the fastest, easiest ways to get involved is to join the local bar association and start attending events. By the time you graduate, you’ll probably be planning the events, but start small. Get on the relevant mailing lists and commit to attending an event every month or so. It will pay dividends. Make yourself useful on campus. Have you joined any law school clubs or organizations? If not, get on it, and start taking a leadership role. You don’t need to kill yourself here, but offer to set up a lunchtime speaker or two, or man an information booth. With a minimal time commitment, you’ll start raising your profile and getting to know students outside of your own class. These people will have good on-the-ground information for you, and might eventually be in a position to return the favors you so graciously provided to them. Use social media to make connections with people outside of your immediate sphere. I’m already on the record arguing that every law student should be on Twitter. But other types of social media can be useful, too. Interested in a particular topic area? Start a blog about it. You’ll improve your writing skills, gain valuable insights into technology and marketing, and have a platform for reaching out to people you find interesting. “I’d love to interview you on my blog.” is a lot more compelling introduction than “Will you talk to me? I’m a random law student.” Finally, join some LinkedIn groups for law students and young lawyers, and start participating. Lots of people are out there waiting to help you, if you let them. These are just a few ideas — I’m sure you can think of many other potential options. The key takeaway is to DO SOMETHING. If you start taking action now to expand your professional network and gain experience in the area you want to work in, you’re going to be better off than someone who aced first semester exams and spent the next two years holed up in the library! 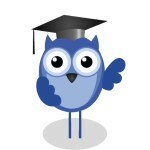 Or check out my new project: Law School Toolbox. All the tools you need for law school success! Thanks for the practical advice! I look forward to putting it to good use. Networking is extremely nerve-wracking for me (I’m painfully shy), but I did just get my local bar membership approved. So I guess it’s time to put myself out there! Congratulations, great work! Keep in mind, too, that you can start small. I wouldn’t suggest going to a “networking” cocktail party right off the bat, if you’re not naturally gregarious. Look for activities that involve some sort of collective activity, so you can meet people in a more natural setting. Two I like are lunchtime talks (short, you learn something, and you’ve got a topic to discuss with others in the group afterwards) and volunteer activities (you’re doing something together, rather than just making small talk). If you meet someone interesting in a small group setting, follow up for lunch or coffee. Here’s an extremely detailed guide to informational interviews, which is basically what you’re doing. Also, there’s a fantastic piece on Attorney at Work called Bad Networking Ain’t Networking that might be useful! The take away: If you hate it, don’t do it. But everyone has to eat lunch! If you’re looking for exam help, you might try LEEWS, the law essay exam writing system. Lots of 1L’s have had success with it, and you can either go to a one-day session or order audio CD’s to help. The company guarantees B’s or better if you take the live program: http://www.leews.com/ You might talk to others at your school to see if they have tried it. Feedback I’ve heard has all been positive! I never did LEEWS, but I did have friends who found it helpful. 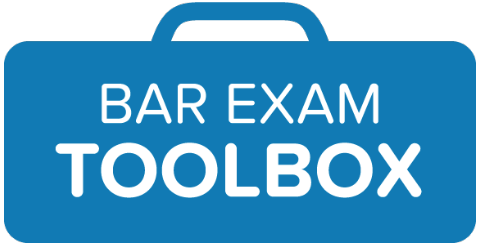 Another option: My brand-new course, over on the Law School Toolbox! Check into internships with legal aid offices. You’ll get little or no money, but you’ll get a lot of practical experience and will hopefully meet a lot of other attorneys. In my office, for example, we have an “open court” policy that encourages students to go with attorneys to court as much as possible. We’ve placed dozens of interns with lawyers and tribes by getting them involved with us early in their legal career. I think it is better to pursue another career. There are many hurdles to jump over; passing the bar, paying off massive student loans, trying to find a job in an already overcrowded field. You could make just as much money with a different job that didn’t require 3 years of law school. I failed my first semester and was relieved that I wouldn’t be paying off any more student loan debt.